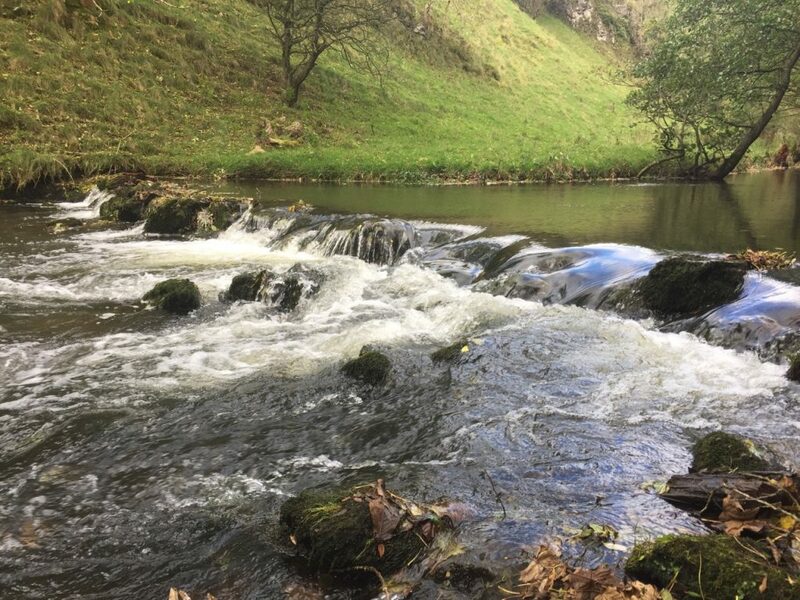 Eight miles, four dales and perhaps one of the most scenic river walks in England … that’s the Dovedale to Hartington walk in the heart of the Peak District. Dovedale is such a honey pot you’d think there’s a Pooh Bear convention taking place. 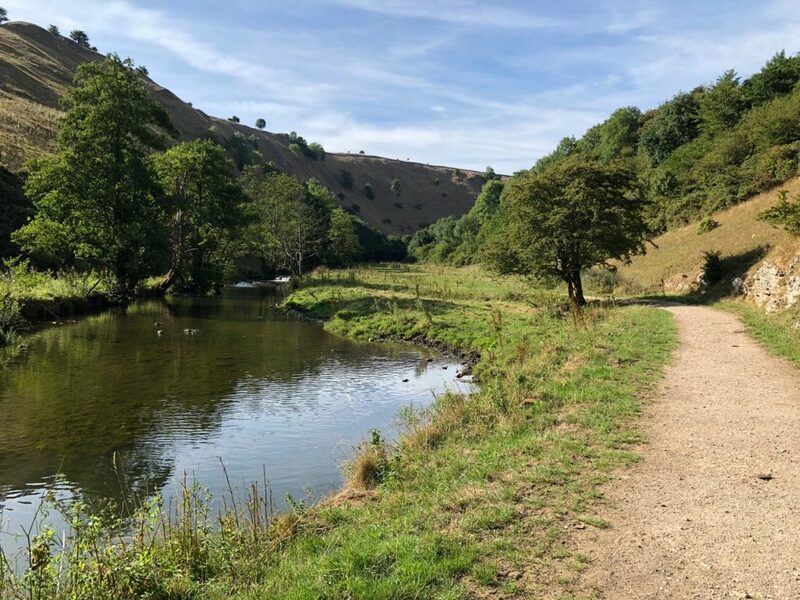 At any time of year the car park is full of visitors eager to enjoy a walk through the famous Dovedale Gorge and walk over the stepping stones across the River Dove. 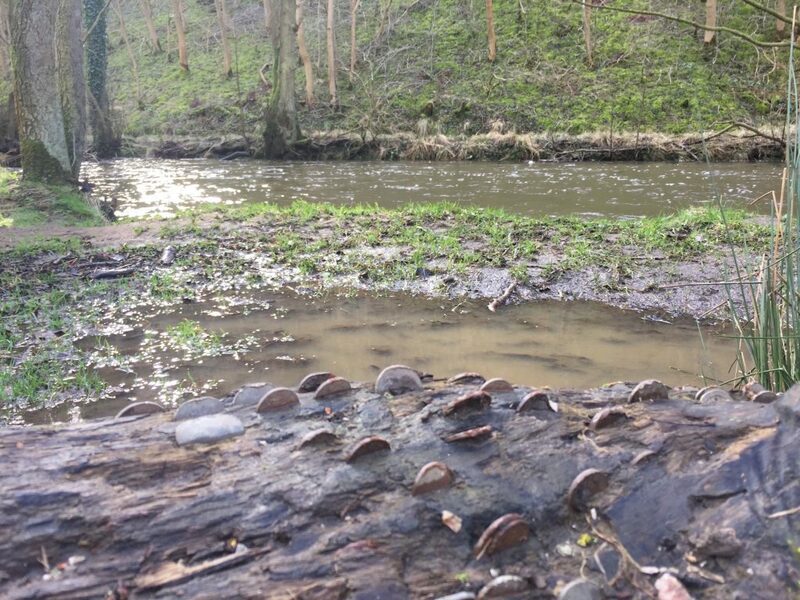 As you walk through Dovedale you’ll notice that money really does grow on trees: people have hammered in coins into old tree stumps and logs along the way to mark their visit. 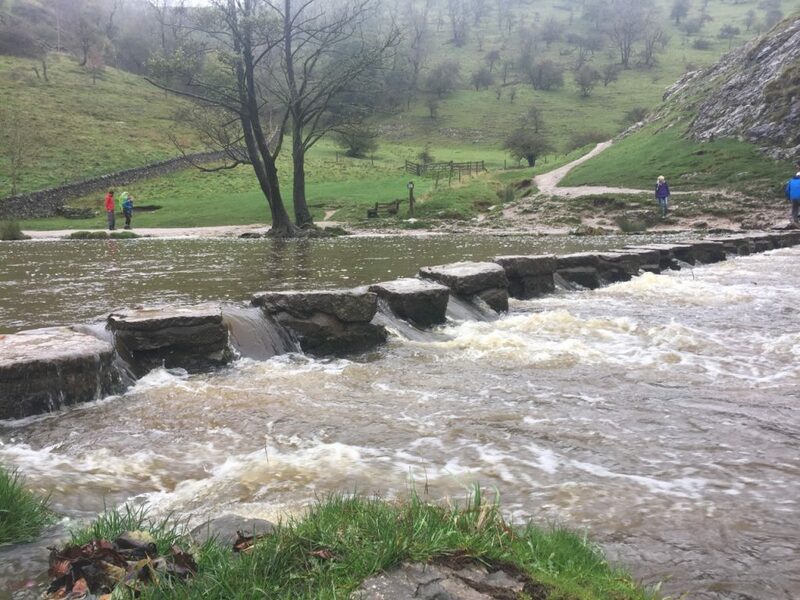 But once you have passed Dovedale the crowds soon fade. 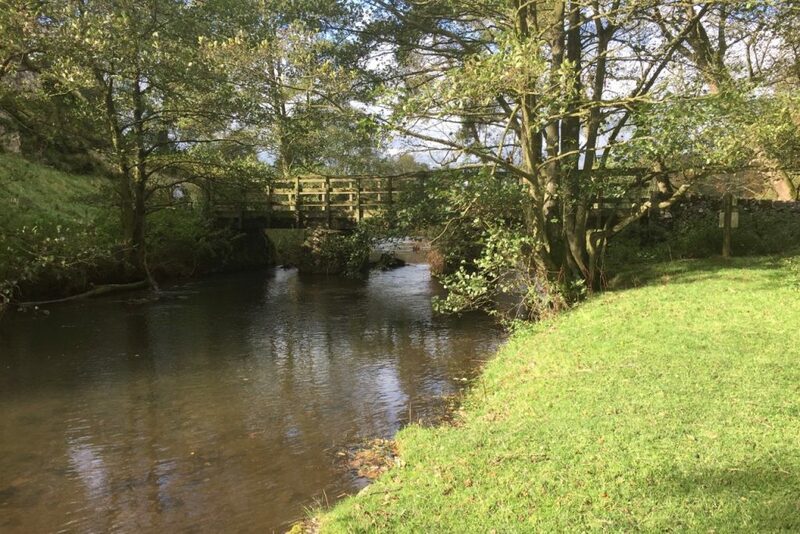 You are left to enjoy a fantastic river walk where your only companion is the constant sound of running water. 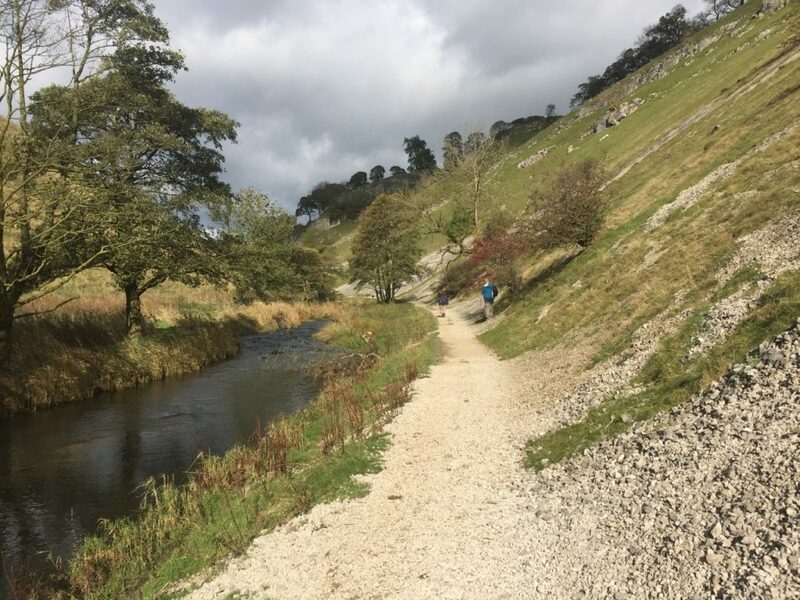 Walking along the western side of the Dales (The National Trust prevents you from walking on the other side), you see spectacular rock formations that have been eroded over the years. 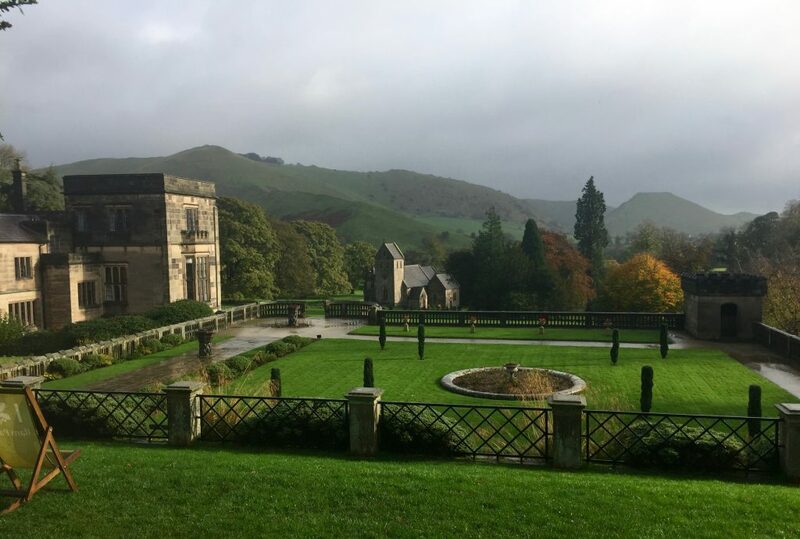 Their names, such as Dovedale Castle, Twelve Apostles, Tissington Spires, Reynard’s Cave, Ilam Rock are equally impressive. At the small hamlet of Milldale – where there’s a café if you wish to take a break – you cross over the river at Viator Bridge. You then follow the road on the other side of the river for a short distance before picking up the riverside track again. 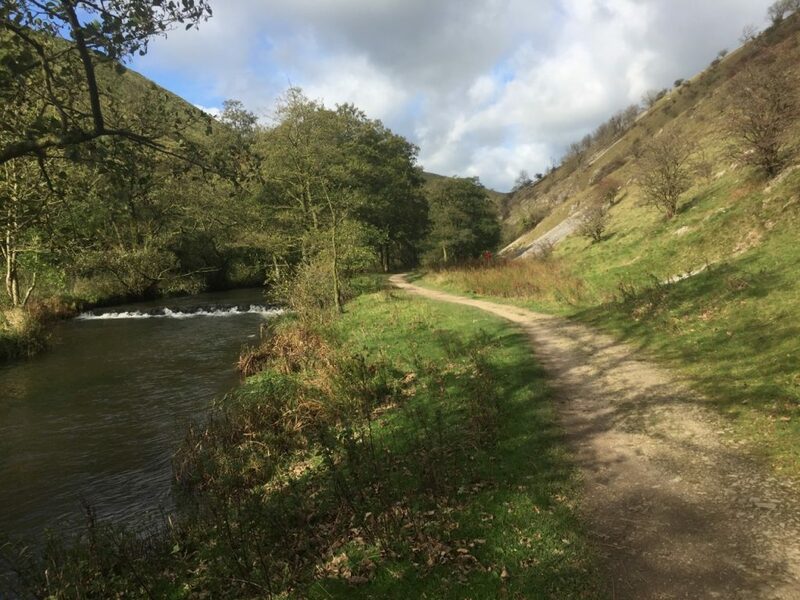 You soon enter Wolfscote Dale and then onto Beresford Dales where trees are sparse as the valley opens up. Before reaching Hartington you cross over the river again, for the last time. This walk is particularly impressive during the Spring and early summer. The trees are still budding and the leaves aren’t fully out, allowing more light to shine through and flicker across the moving water…It’s magical! 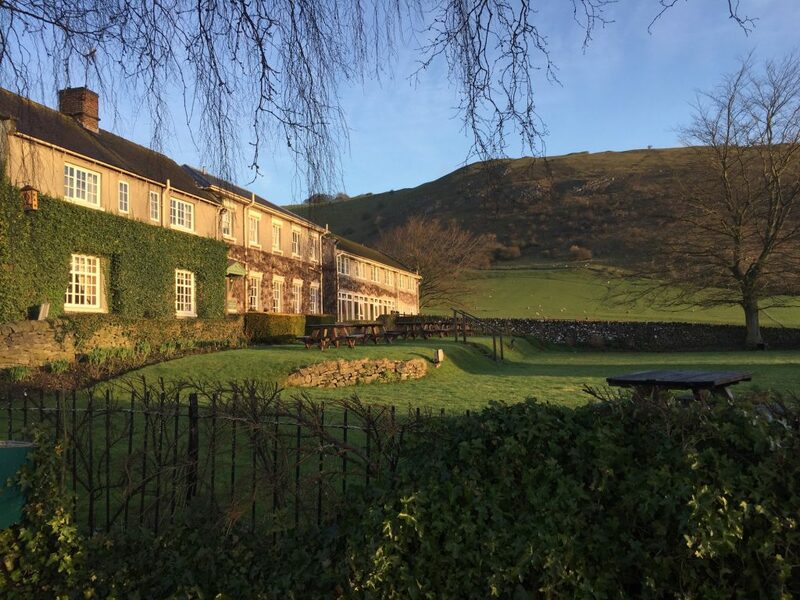 If you want somewhere to stay before you start this fabulous walk, consider The Izaak Walton Hotel. 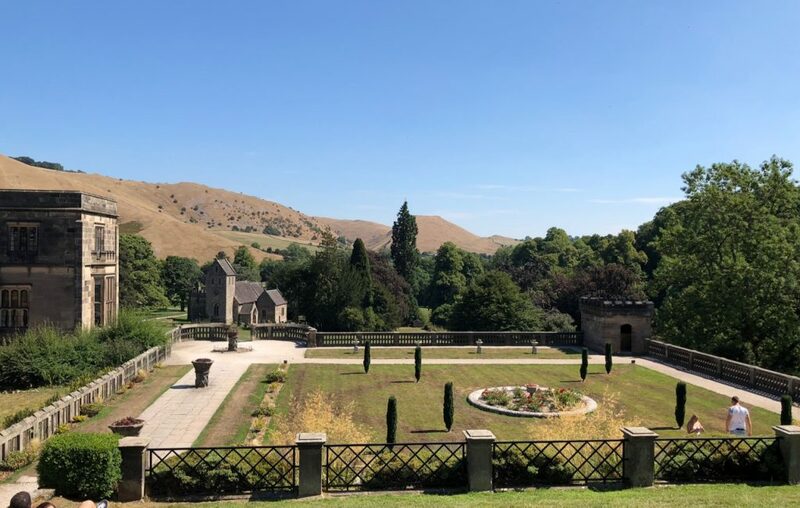 It’s located just above the public car park at Dovedale and is a wonderfully restful place to stay, with fantastic views all around. 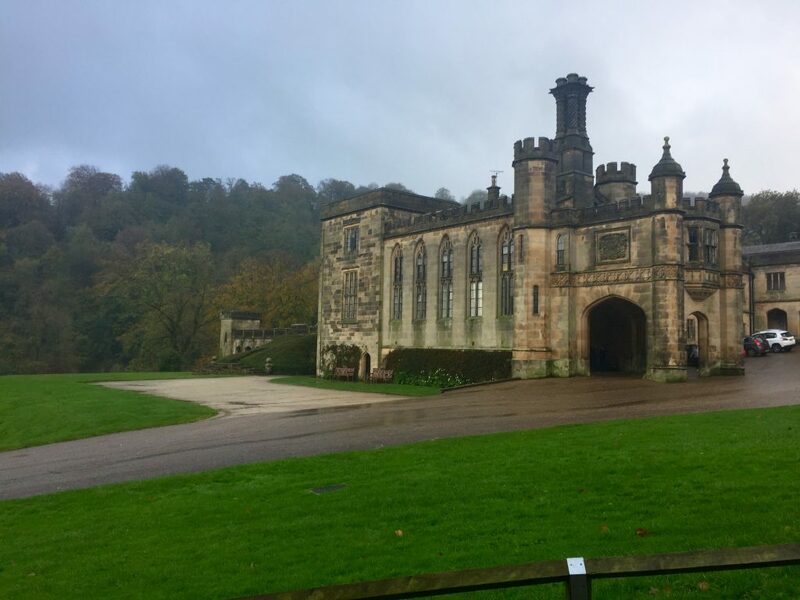 We also highly recommend the YHA situated in the grounds of the impressive Ilam Park which is also a short walk from the stepping stones. 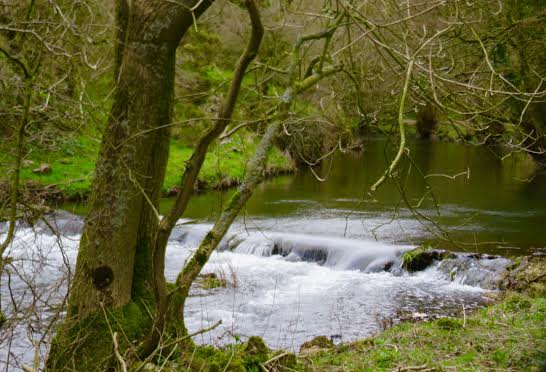 For a shorter circular walk in the Peak District which includes a section on the river Dove see here.